Venues for catering operations can be incredibly varied in terms of size and unique dimensions. Despite there being such a large selection of brands of types of refrigeration units available, it can be quite a struggle deciding what’s the right choice for an individual establishment. A commercial kitchen can be incredibly awkward to make space for depending on the venue and operation. Despite what tradition may say, a walk-in refrigerator or a large double door refrigerator is just not practical for a kitchen where space is limited. For alternatives, an undercounter refrigerator is the first that comes to mind. With the models Alliance provides enabling great refrigeration performance where space is limited, these are ideal for small-to-medium sized layouts. Single door freestanding units can mean greater operational efficiency in the day-to-day running of the kitchen. Whilst having a walk-in may seem more convenient by way of having all your refrigerated produce in one place, having free-standing units as an alternative saves more space, allowing room for additional equipment or for staff to manoeuvre effectively in the workspace. It’s also more effective having different types of refrigerated goods in different units. For example, it’s more hygienically sound to keep cooked meats, raw meat and fresh produce in separate units to reduce the risk of cross-contamination. However, using multiple free-standing units will use a lot more energy by comparison which you must take into consideration if saving on utilities is an important factor. In addition, as mentioned earlier, it can be more time-efficient to have all your refrigerated goods in one single walk-in unit. 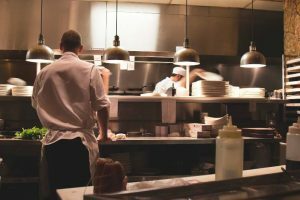 Unfamiliar or new staff members may take longer to find what they’re looking for whilst having to search through multiple free-standing units, which can result in time wasted when working in a busy kitchen. 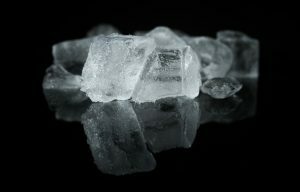 Following the issues of faecal bacteria traces being found in ice from high street brands and pub groups, it has been said by the Chartered Institute of Environmental Health that these were likely to originate from human contact, most likely being dirty hands. Another origin possibly being growth in storage and dispensing systems. It almost feels astounding that in the modern hospitality industries, the following still needs to be advised: thorough hygiene should always be mandatorily implemented. The consequences not only put the health of your valued consumers in danger, it also detrimentally associates your brand with poor hygiene standards. If this matter hasn’t affected your ice yet, you can further improve your hygiene maintenance practices to ensure it never does. Whether it’s following bathroom breaks or cleaning dining and work surfaces, members of staff washing their hands should be enforced at every opportunity. It only takes one instance of forgetting to do so that may put the health of other employees and customers in harm’s way. In a high-volume food and drink service establishment, deep cleaning all of your equipment, utensils and storage facilities on a daily basis should also be co-ordinated into staff training. In addition to regular cleaning over the course of the day, it helps leave no stone unturned in regard to your onsite hygiene being 100% safe for customers and staff. Amongst all manners of top of the line catering equipment; Alliance supplies the most top quality models of refrigerators in the industry: including Foster; Gram , Williams, Scotsman and Blizzard. You can visit our website at www.allianceonline.co.uk to look at the best range and prices for microwaves, refrigerators, fryers & any other appliance you may need to keep your kitchen running smooth . If you would like some advice on which type of refrigerator would be best for your kitchen’s needs, our dynamic & friendly team can be reached at hello@allianceonline.co.uk or by phone at 0844 499 4300. Our regional depots all across the UK allow Alliance to provide the most exceptional, qualitative & expert service. We’ll be more than happy to help. Venues for catering operations can be incredibly varied in terms of size and unique dimensions. 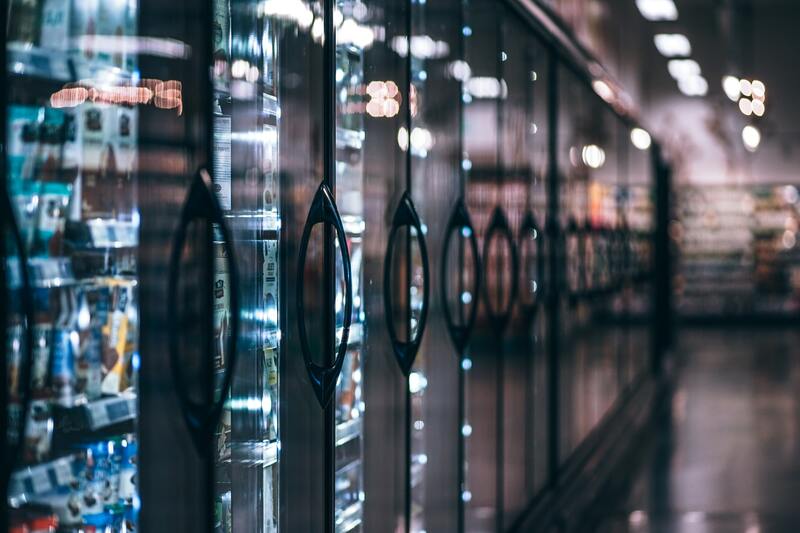 Despite there being such a large selection of brands of types of refrigeration units available, it can be quite a struggle deciding what's the right choice for an individual establishment.